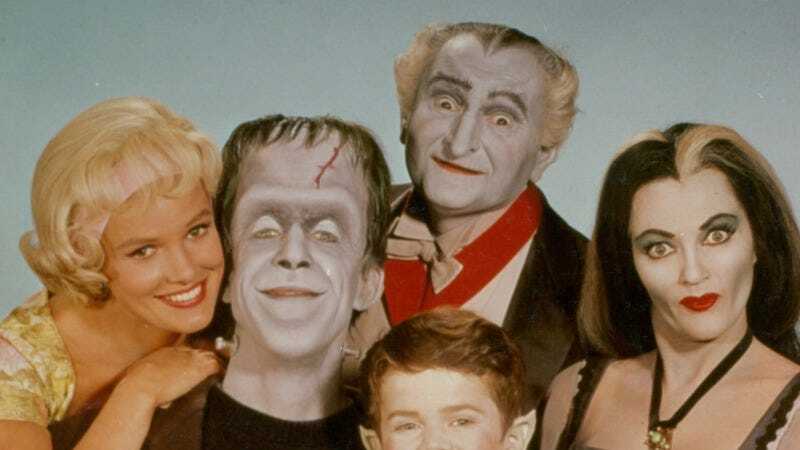 Like some sort of cackling mad scientist, refusing to stop its dabbling in things man weren’t meant to know, NBC is making yet another run at bringing The Munsters back to life. Deadline reports that the network has recruited Seth Meyers as its latest Igor in its efforts to resurrect the 1960s’ second-most-popular monster-family-based sitcom, with Odd Mom Out creator Jill Kargman, who apparently hunted down the rights for the show and brought it to Meyers, handling writing duties. This isn’t the first time in recent years that NBC has attempted to bring the franchise back; in 2012, the network debuted the pilot for Mockingbird Lane, Bryan Fuller’s hour-long revival series. It ultimately didn’t go to series; it’ll remain to be seen whether Meyers and Kargman’s more trendy take will be more resistant to the silver bullet or the stake.